It is elementary history that Jerusalem’s pre-Islamic period of 3300-1000 BCE appeared in the book of Genesis — the time of Abraham, Isaac and Jacob — when Erdogan’s ancestors were probably hunters in the steppes of Central Asia. The years 1000-732 BCE marked the period of the ancient kingdoms of Israel and Judah. 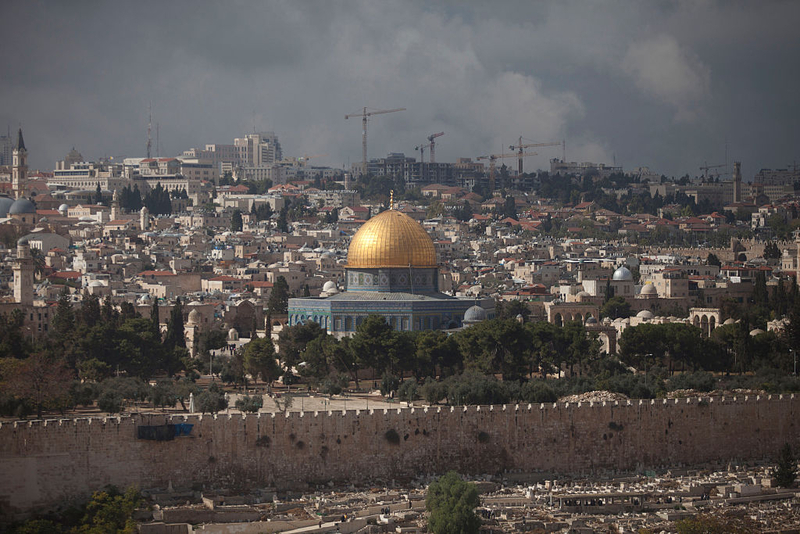 Simply put, Jerusalem’s Judaic history dates back to thousands of years before the birth of Islam. In 2016, a total of 26,000 Turks visited al-Aqsa Mosque (out of a population of 80 million). Erdogan also said he wants “hundreds of thousands of Muslims” at the Muslim holy site in his campaign to “flood Jerusalem [with Muslims] and drive out the occupiers”. Trying to brand itself as the international savior of the Islamist cause, Turkey has, since 2004, invested millions of dollars into 63 different projects designed to “defend and strengthen the Muslim heritage and character of Jerusalem.” The money is often channeled through a government agency, the Turkish Cooperation and Development Agency (TIKA). In these efforts to “defend and strengthen Jerusalem’s Muslim heritage and character” Turkey also partnered with Sheikh Raed Salah, leader of the Northern Branch of the Islamic Movement in Israel, and with Sheikh Akram Sabri, a former mufti of Jerusalem. Both men oppose to Israel’s right to exist. This entry was posted in Erdogan, Turkey by pmaillet. Bookmark the permalink.